The folks over at Humble Bundle have added two new titles today, called So Long, Oregon and Mountain, to Humble Mobile Bundle 9 for all users. Neither are standouts, exactly – Mountain is less a game than an ambient wallpaper, and So Long, Oregon, is side-scroller with middling reviews, but who can complain about added value without a hike in price? Obtaining all games costs the $3.38 right now, money which goes toward funding worthy charities and hardworking developers. Donors who previously contributed to grab the original six titles are, as always, entitled to complimentary downloads of the new additions. Still included in the pack are Syberia, Neuroshima Hex, Bardbarian: Golden Axe Edition, Leo’s Fortune, Out There, and First Strike. 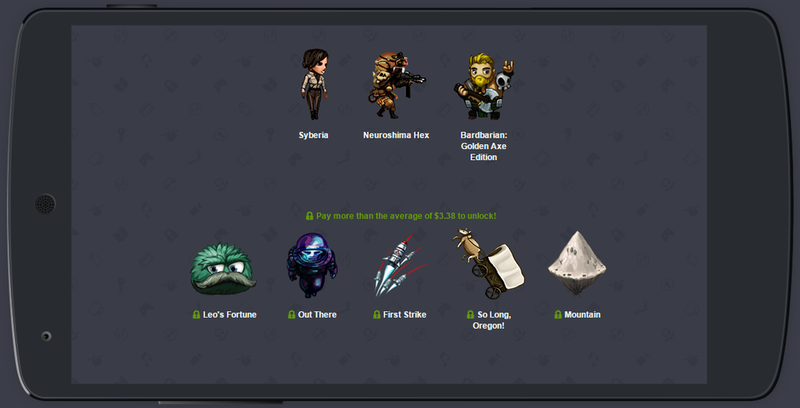 A new Humble Mobile Bundle drops October 16.